highlighting, remote file transfer, and SSH. 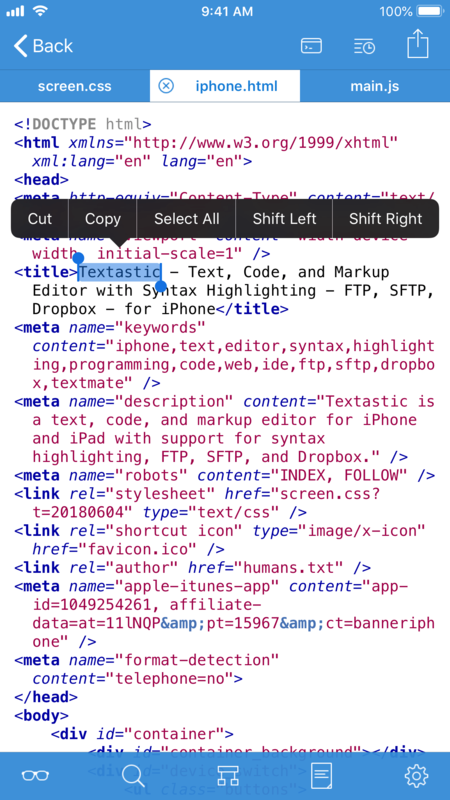 Textastic's code editor is quick and responsive and takes full advantage of the iPhone. 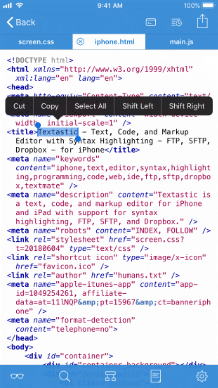 The text editor is written from the ground up using native iOS APIs like Core Text. 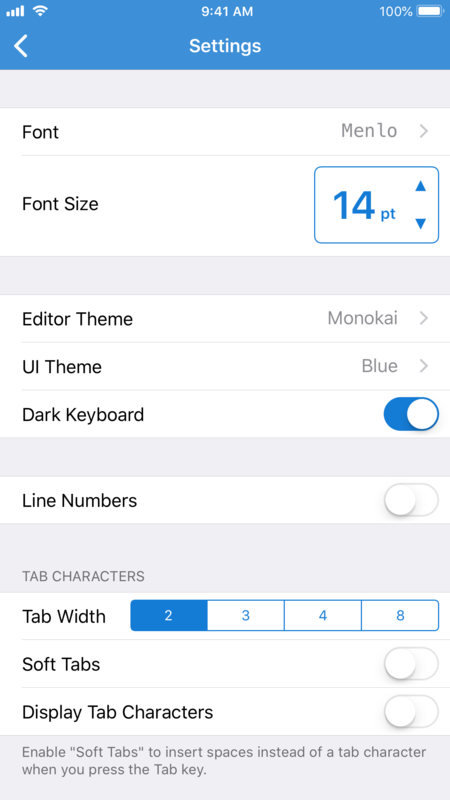 Additional keys above the virtual keyboard make it easy to enter code. Use swipe gestures to quickly move the cursor. Code completion for HTML and CSS. External keyboards are fully supported. 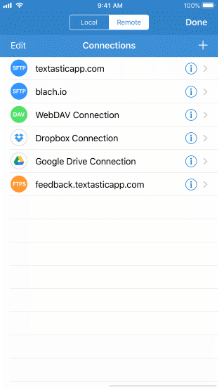 Connect to FTP, SFTP and WebDAV servers or to your Dropbox or Google Drive account, use the built-in WebDAV server to easily transfer files from your Mac or PC. 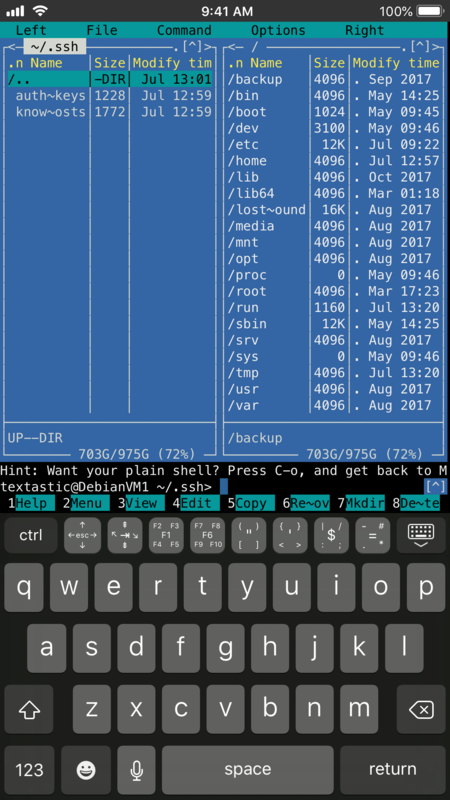 Easily run commands on your server with the built-in SSH terminal. All rights reserved Alexander Blach © 2010-2019.